Reviewed! 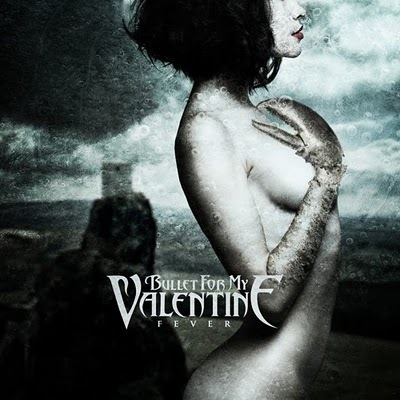 Bullet for My Valentine - "Fever"
"Fever" is a record that shows both Bullet for My Valentine’s strengths and weaknesses, one that truly showcases where the band excels sonically, and where they are limited stylistically. Sure, the record title leaves a little something left to be desired since it sounds like a bad 80’s hair metal disc from somewhere along the Sunset Strip, but don’t let that deter you – this is a solid effort through and through. From the onset, it would appear that vocalist Matt Tuck has recovered from the vocal ailments that hampered his throat during the recording sessions of 2008’s “Scream Aim Fire,” as his vocals register as recommitted and refocused; powerful and strapping throughout, so we can all assuredly breathe a collective sigh of relief along with the band. The songwriting has also been considerably ramped up, though there is some level of kitsch prevalent at some points. The guitars are just as good as ever – razor sharp and precisely cutting ('Your Betrayal,' 'Pleasure and Pain,' 'Pretty on the Outside'), but BFMV take time to display some ballad-ized chops as well ('A Place Where You Belong,' 'Bittersweet Memories'). Go into "Fever" knowing BFMV isn’t going to reinvent the wheel or reshape the genre – they don’t have to, nor are they setting out to do so. Go into it looking to hear a great metal record and have a good time, because those are two guarantees that come along with it. Give "Fever" a chance, and it will entertain you to say the least.